Taking a GRE prep course is like talking to an architect. They may cost you some bucks, butnot nearly as much as it will cost you if you don’t talk to them. In fact, most GRE courses will return your initial moolah invested, with interest! GRE prep courses can raise a student’s combined score by 7 points or more. That can mean a spiffier, shinier, way-more-posh grad school and bigger earnings in the real world. BONUS: getting many fellowships, TA-ships, etc. depends directly on your GRE score. You score low, you lose dough! So skipping the GRE prep is playing russian roulette with your future! Whether you’re studying with Kaplan, Princeton Review or, the GRE class I teach (consider that full disclosure) you’ll discover the tricks and techniques you must have to ace each of those sections. In my class, we also look at other crucial info such as test layout, memory skills (for that vicious vocab), the testing center, and test anxiety. Every last bit of it contributes to helping you get a score you can be proud of, so let’s look at how GRE prep courses can help you with each of those sections, the cost in time and money, when to take a course, and the ins and outs of picking one that won’t be a waste of your time and money. How Can GRE Prep Help You With The Quantitative Section? In the quantitative (math) section of the GRE there is a lot of very specific (nit-picky) material to cover; prime factoring, quadratic expressions, area of a circle segment, permutations, etc. Most of it you’ve probably seen before. Of course, you may not have seen it since 6th grade, but little review and practice now can bring it all back. Bad news: you need to go over a load of stuff. You need to see how it will actually be tested and decide at that point how much time to spend studying and practicing each problem type. This is where a good instructor can save you huge amounts of time and anguish. Example; going through a prep book, you might see a few sentences on prime numbers. You think, “I haven’t messed with primes since I was in junior high. There’s only a few sentences here. Who uses primes in real life anyway? I’ll skip it.” Bad idea, kemosabe. Turns out, prime numbers are the key for all sorts of otherwise hairy and scary GRE problems. A good GRE prep course can also show you supah-ninja GRE skills, such as how to use the structure of the test questions to help identify the answer that is most probably correct even when you have not the first clue how to complete the problem. For most students, that’s GRE score gold! How Can GRE Prep Help You With The Verbal Section? First, the good news… The GRE verbal section is relatively straightforward and learning all the helpful techniques for each type of verbal problem (text completions, text equivalences, and reading comprehension) can easily be accomplished in a few hours. Now, the bad news… The bulk of your prep takes place outside the class as you pound extravagantly useless new vocabulary into your resisting cranium. But ya’ gotta do it. Learning new vocabulary is the single most important thing you can do to beef up your GRE verbal score. In my GRE prep classes, I tell my students to learn AT LEAST 300 new GRE vocabulary words. You’ll need that many to have a reasonable chance of seeing enough of those words on your GRE for it to make an actual difference in your scores. However, 300 new vocabulary words is really the bare stinkin’ minimum. Many of the more serious students aim at learning 1,000 to 3,000 new words! So bust out the ibuprofen and clear your calendar, you’ve got some memorizing to do. Many prep courses tell students, “Here’s the word list. Go learn it.” Their theory is, the more you sweat, the better you get. WRONG! I do not do that to my students. There are many slick and–dare I say it? fun!–techniques that can make learning that GRE vocabulary zippier and more user-friendly. We work on those skills in our GRE Prep class (and I write about them in this blog). 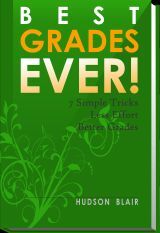 I give a step-by-step formula that makes that vocab go down easy and up to 30% faster. That adds up to a lot of time on 1000 words! BONUS: the techniques can easily be applied to any subject that requires memorization (biochemistry, anatomy, history, business, and more). How Can GRE Prep Help You With The Written Analytical (Essay) Section? The written analytical section of the GRE is often the ugly sister of the other two sections. It may not be a key portion of the test for many GRE test takers, and it’s less important to many grad schools. The scoring is also less fine-grained (the difference between a score of 4 and a score of 4.5 on the writing is like the difference between a 150 and a 153 on the quantitative or verbal sections). Translation; most students are not as concerned about that section. For those reasons I only spend about 20% of my class time on the written analytical portion of the GRE, and I don’t recommend that students spend too much time practicing outside of class. Smaller class sizes–or even individual tutoring–can really help you out here. If you don’t need much (or any) help with this section, you might be able to skip prepping for it altogether, but that won’t be an option in the larger GRE prep classes. Writing five to ten of each of the essays before taking the GRE usually gives students a good bang-to-buck ratio. Of course, if you really need to raise your score in this area you may need further help outside of class and continued practice over months, so make sure you check out their price for extra tutoring after the class. While I have never seen any research to show exactly what sorts of improvements prep classes make in the written analytical scores, I don’t see how they could fail to make a big difference. For the students I’ve worked with, the difference in their before and after essays is obvious. Finally, in my GRE prep class we usually spend 20% of our time discussing the actual test itself; structure, background, timing, general study techniques, actual test-day do’s and don’ts, and stress management. Many students think that those topics are a waste of their time and they are dead wrong. This can be one of the most valuable sections of a GRE prep course! Case in point; I’ve seen many of my math and engineering majors—who should be rocking the math section—totally tank on the quantitative portion of the GRE in their first attempt. The problem? Timing. Math and engineering people tend to be perfectionists. They want the exact right answer down to the fifth decimal place and they’ll take the time to get it. That’s test day suicide! Students have to learn to quickly estimate the right answer, usually in under a minute and a half. That’s a learned skill that even the most diligent self-study student may not practice. And what about test anxiety? Unfortunately, most test prep courses don’t address test anxiety issues at all, but my personal experience is that for almost 20% of my students it’s the key issue! 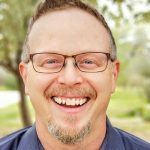 Indeed, the twenty or thirty minutes we spend in my classes on learning to control test anxiety, combined with practicing the techniques after the course, can make a huge, future-changing difference in some students scores. I’ve seen it happen! Combine that with the huge gains many students see when they learn to manage their time on the test, and the importance of this part of test preparation is undeniable. When Should You Start Preparing for the GRE? 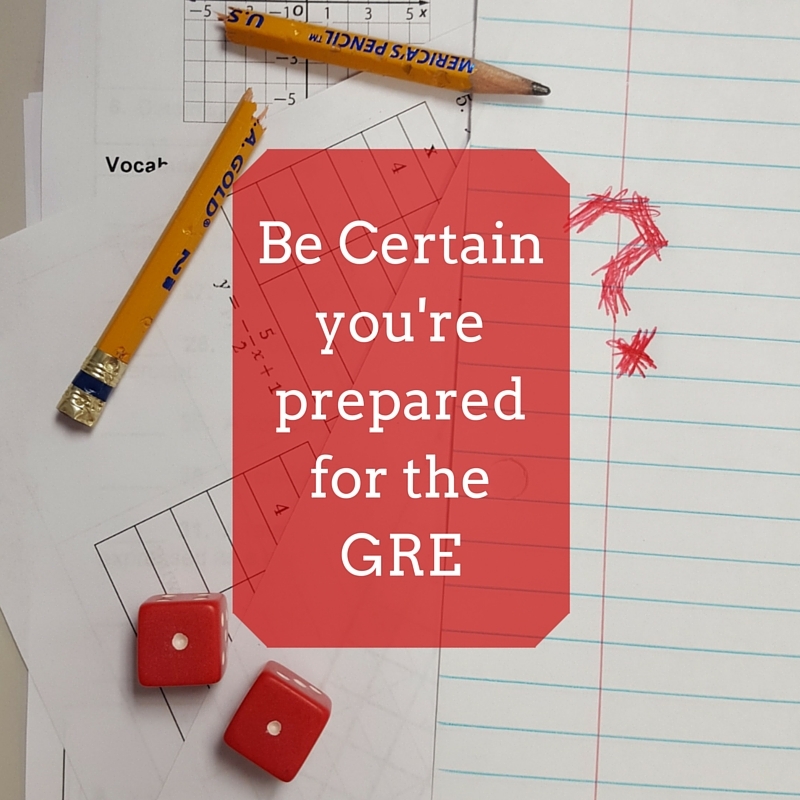 Many students ask when they should begin preparing for the GRE or how far in advance of test day they should take a prep course. The answer really depends on you and your grad schools of choice, but in general, start yesterday! Students who are diligent about studying, even when the GRE test is in the far distant future, would benefit from starting their studying years in advance! Just think; learning 1,000 new words over three years works out to less than one new word per day. Learning the same 1,000 words in three months works out to over ten per day! Beef number one many students have to taking a test prep course is the cost. With the big companies charging upwards of $1,200 for their courses, who can blame students for flinching? My course is less expensive ($395), but it’s still a considerable investment for most college students. However, when students consider the potential return on their investment, even expensive courses make sense. Just think about how much you spend on college over the course of four (or five, or six) years. Yet in some cases, this one test can have a greater impact on admissions to grad schools (not to mention scholarships) than your entire undergraduate GPA! Case in point: I know personally of a fairly prestigious grad school here in Texas that won’t even look at you unless you scored above the 300 national average, and their average student scores for students admitted is a 320. As important as a good score is to getting into grad school, most students don’t realized that many TAs and fellowships go to the students with the highest GRE scores regardless of their undergrad GPAs! Which Test Prep Course Should I Take? Test prep classes are more than worth the time and money for most students. The potential payoffs far outweigh the costs for the majority of students, but choose your prep course carefully. While most courses teach exactly the same techniques (more on that in a minute) there may be some key areas that they don’t address. If test anxiety is a problem for you, make sure they’ll be covering that area. If learning a thousand new vocabulary words sounds impossible, make sure they will be doing more than just giving you a lengthy list of words. Do you struggle with some key math technique that they only mention in passing? Make sure you can get (cheap or free) help outside of class, if you need it. You should also consider the instructors they have teaching the course. Getting some part-timer who’s teaching the course for the next six months while they finish up their masters at the local college can make for a very boring (and much less helpful) classroom experience; a boring, unhelpful experience for which you paid more than $1,200! Finally, neither course length nor expense should be the main criteria by which you judge a course. Most GRE prep courses teach pretty much the same basic techniques with different names! That’s because they all publish books with these techniques. All the other companies read those books and integrate any new and useful techniques from the other companies into their own courses. I’ve been teaching GRE Prep since 2000, and in that time I’ve been through the majority of the other test prep books several times over. Rarely do I find ANY new techniques, though some companies definitely do a better job of explaining certain things. So the difference between a $1200 course and a $600 course is NOT in the key GRE techniques they are teaching. Time is not really a key distinguishing factor between test prep courses either. Many companies will tell you their course is 20 or even 40 hours long. It sounds like you are getting more for your money, but actual class room instruction time may only vary by an hour or two. The additional time is often spent in having you take practice tests or in doing worksheets that you could easily do on your own for free. They do this because how else can they justify a $1,200 course? They fluff it up with fillers to make you feel like you’re actually getting more. You should, however, look at how much they will charge for their time if you need extra help outside of class. Many of the big companies charge over $80 an hour for extra one-on-one attention outside of class. Others charge nothing! Test prep courses can be uber-helpful for many, if not most, students. They can help you know exactly how and where to spend your time in order to see really significant gains in your GRE scores. Although they can be expensive and time consuming, their potential payoff far outweighs their cost, BUT choose carefully. Not all test preps are created equal. You can spend $1,200 for a very mediocre test prep and miss out on an excellent prep course that is half the price. Shameless plug: I teach live classes here in Texas, but I also teach students all over the world online using Skype. Find out more about my GRE prep course. Visit studyprof.com for more helpful GRE techniques and study skills.